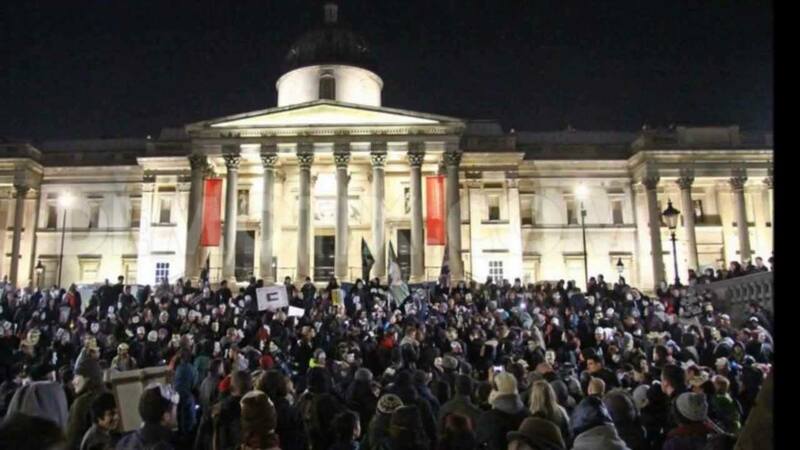 Protesters gather around the world for the Million Mask March in more than 400 cities that were planned to coincide with Guy Fawkes Day in Britain. Just wait until they take 10% of everyone’s account to hand it to the banks. Will the masks come off then? What’s next? IMF proposes forced labor to reduce government deficits and manipulate the high unemployment stats? It would be nice if these people just for once REALLY understood what is going on behind the curtain.